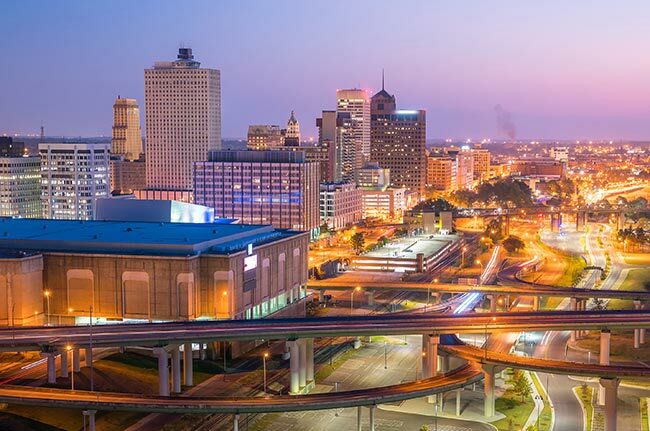 Located in the state’s southwestern corner close to Mississippi and Arkansas, Memphis has long left its mark not only on Tennessee, but on the entire U.S. Famous for its foundational role in Blues, Rock n’ Roll, and other American cultural movements, Memphis brings in tourists and fans from across the country. Combined with its booming education, transportation, and manufacturing industries, this sets the stage for a strong and robust economy. ExpeditedFreight.com contributes to this economy, giving local businesses quality logistics services on any schedules they set. 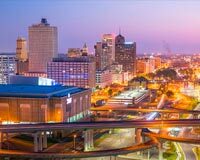 Memphis’s economic success stems from more than just its cultural power and open business environment. The town has always made a strong effort to go after all available business opportunities. When Hyundai announced early last year that it would be opening a new plant in the United States, for example, Memphis was at the forefront calling for the company to set up shop there. This strategy keeps the town in the news, letting all companies and investors know that it is an attractive site for their new ventures. Thus regardless of whether Memphis is able to land any particular business or facility, it attracts interest and good press at all times. In order to keep the good press and investment interest coming, Memphis must provide everything that businesses need for their ventures to succeed. Chief among these necessities is quality logistics. The more reliably businesses can bring in supplies and send out finished products, the more likely they are to choose Memphis. ExpeditedFreight.com ships smoothly across the Memphis area. As an expedited freight company, we serve not only Memphis proper, but also Jonesboro, Pine Bluff, Tupelo, Jackson, Southaven and Marion. Quick Shipping Solutions - ExpeditedFreight.com provides dedicated shipping, meaning we reserve trucks for individual customers. This means we are able to go directly to your destination rather than needing to stop by other clients’ facilities first. Combined with careful, detailed planning, this allows us to complete your deliveries in record time. Safe Services - Whether we’re shipping into or out of the Memphis area, ExpeditedFreight.com makes safety our top concern. We place two drivers in each vehicle and require them to take turns driving, thereby ensuring that both are fully rested. We also load any specialized devices needed to keep your items in good condition. Comprehensive Connections- Our coverage network extends through all major metropolitan areas in the United States and Canada. As a result, when we are shipping into Memphis, we can get a truck over to the starting point in a matter of hours. Likewise, if we’re shipping out of the city, we’ll have personnel at the destination to handle all your items. Consistent Customer Support - Whether you currently have an order on the road or want to get a free estimate for a future delivery, you can call our customer support line at any time. We are available 24 hours a day, 7 days a week to answer your questions. For more information on our delivery services in Memphis, visit ExpeditedFreight.com or call (901) 726-3883.